Our hope is to grow our positive impact on the Peoria, Illinois community by providing exceptional yoga classes focused on improving the overall well-being of each of our students. 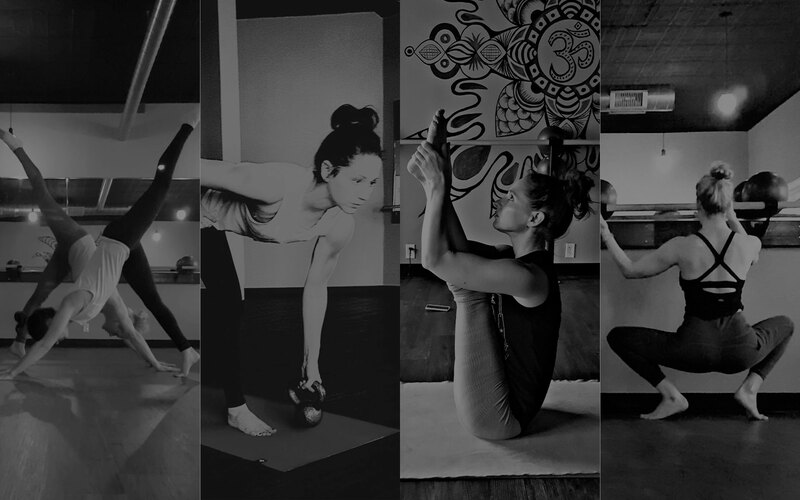 Traditional Ashtanga, a set of poses practiced in a flowing vinyasa style. 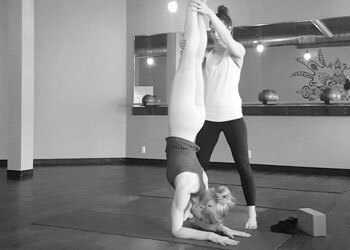 Standing, seated, backbends, and inversion postures will be explored. All levels welcome. 60 minute class, heated. Vinyasa is breath synced to movement. The pose and the transitions are equally important and powerful. 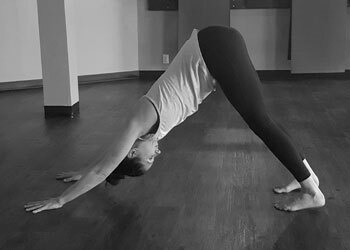 A safe, strength, stability, and flexibility practice. 60 minute class, heated. 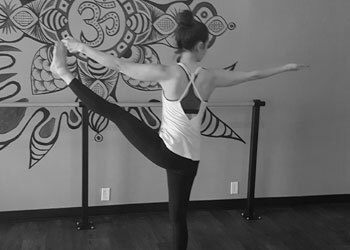 A ballet inspired workout using functional movements to build strength and mobility. Props will be provided which include barre, gliders, bands, and balls. Great compliment to yoga. All our classes are stronger together. 60 minute class, no heat. 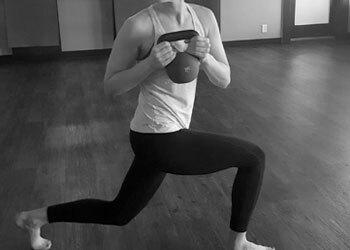 This class is designed to build strength with functional movements using kettle bells. Full body workout to compliment yoga, increase strength and range of motion. 45-50 minute class, no heat. This class is designed for ALL levels. 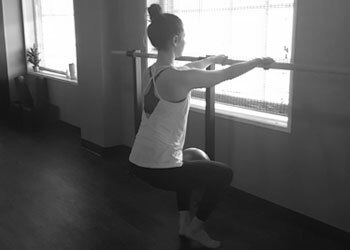 Modified postures will help increase strength, flexibility, prevent injury, and build an understanding of postures and how they relate to your bodies range of motion. We offer 1-2 yoga workshops per year. Learn specific techniques on a range of topics to advance your practice. For easy sign up to reserve your spot download the Mindbody Connect app to your phone. Register online by selecting an option below or downloading the mindbody app. Auto-renews monthly with a 30 cancellation policy. Active and retired military, civil service & students. Call studio to inquire about our private classes. We are partnering with Evan and Kelly of Tapas Yoga Shala in Rock Island to bring their 200 hour teacher training program to the Yoga Projekt. This is a 200 hour Yoga Alliance registered yoga teacher training program in Peoria. Check out our profile and read reviews here. All graduates are qualified to register as Registered Yoga Teachers, which continues to be the industry standard. 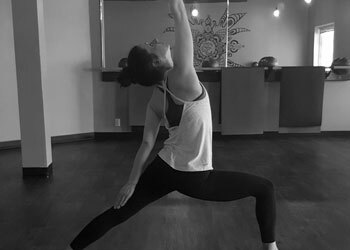 Expect to learn all the skills essential to successfully teaching yoga to others—postures, anatomy, sequencing, adjustments—as well as the origins, philosophy, schools, and gurus of yoga’s long history and profound, contemplative roots. Full program cost is $3000, or $15/hr of training (200 hrs). This includes all training hours, activities, and books. Graduates will be fully equipped to teach a public yoga class at nearly any facility and will have all materials necessary to register with Yoga Alliance. We are proud to offer payment plans and a 15% discount for all trainees paid in full by the early-bird deadline (1/1/19). Copyright 2018 The Yoga Projekt.